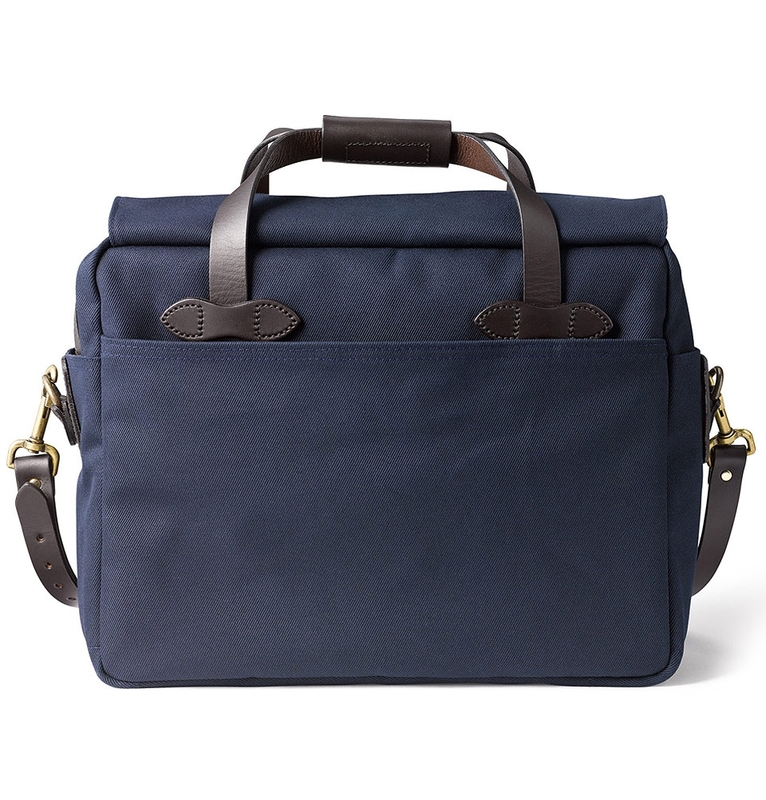 This Filson Padded Computer Bag provides real protection for your large laptop with all the required accessories - extra pockets for batteries, mouse, mouse pad, business cards, and 4 roomy full length pockets. 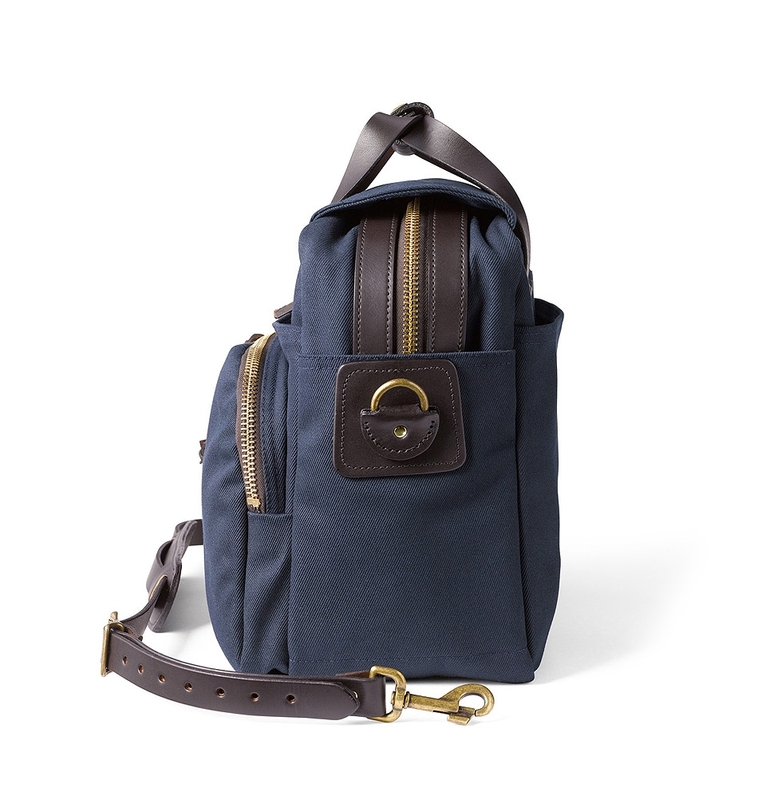 The Industrial strength twill with a strap makes it comfortable while carrying. 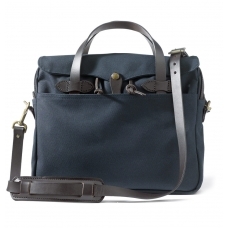 Perfect for the stylish man on the go. 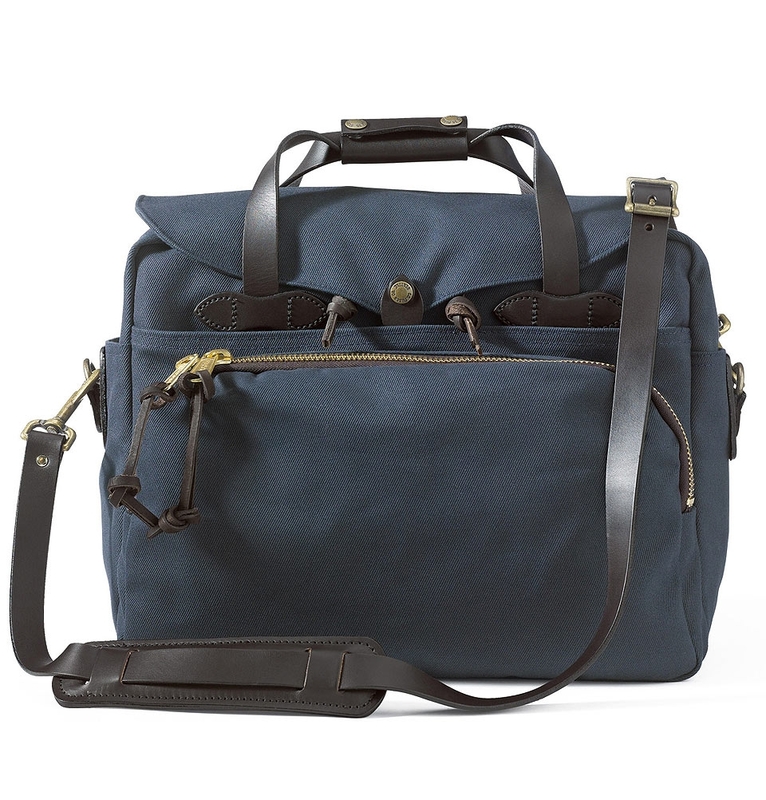 FILSON PADDED COMPUTER BAG NAVY, constructed from industrial weight Rugged Twill, this padded laptop bag is built to carry a lot of weight. 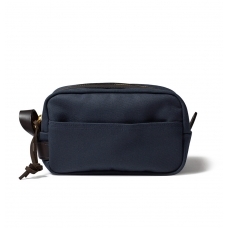 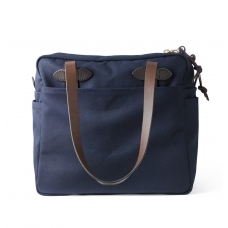 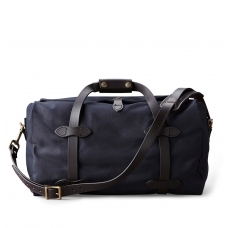 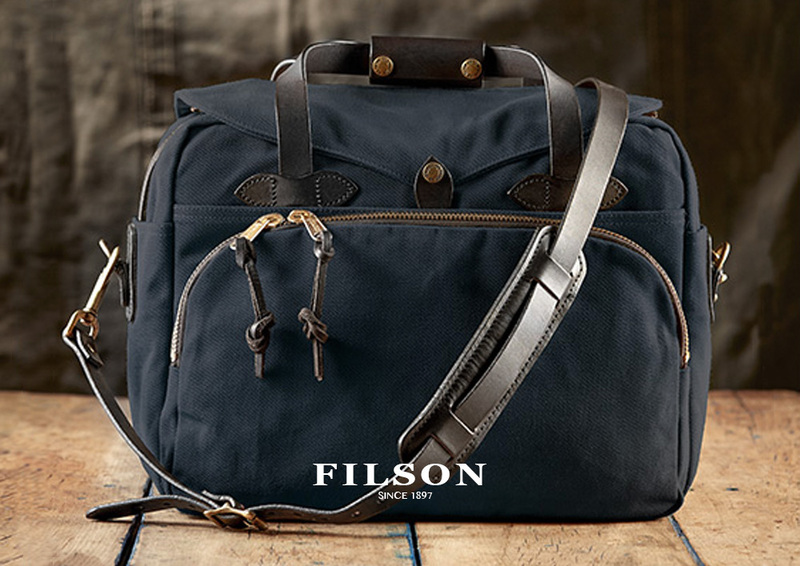 The Filson Padded Computer Bag Navy features a dense foam padding on bottom and sides and a double layer of fabric on the bottom for durability. 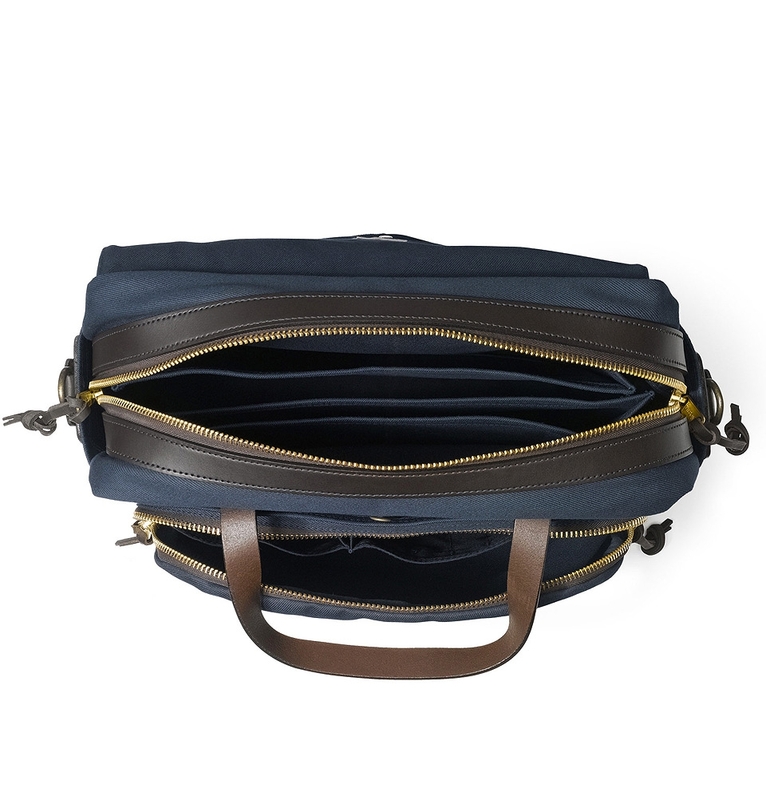 Two-way brass zipper with leather pulls and a storm flap secured by bridle leather tab with snap secures your belongings, so they'll stay put. 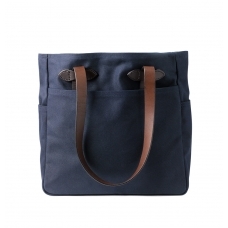 This tan bag has a lot to offer...more than just safely storing your laptop. 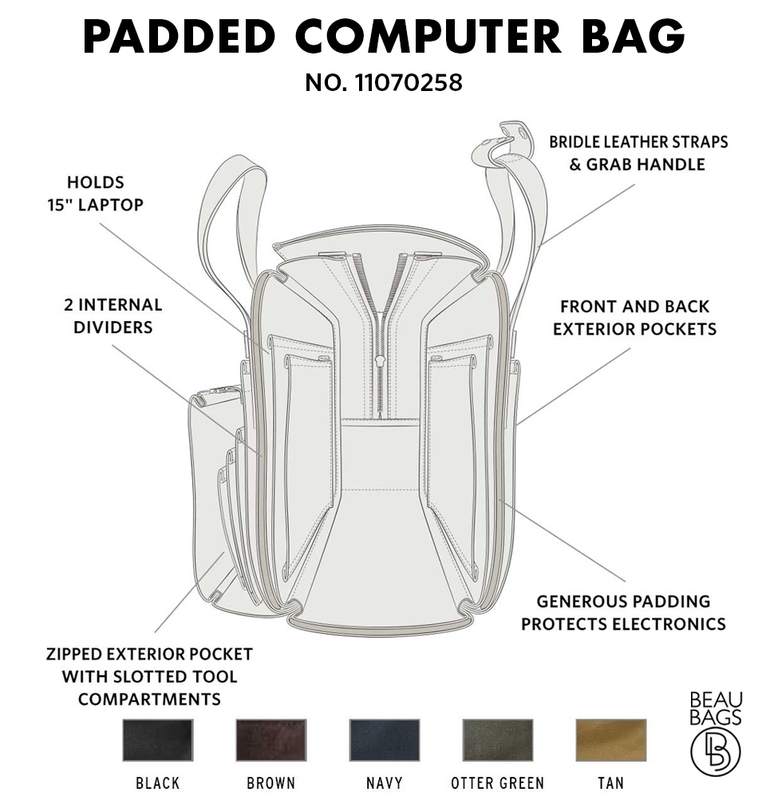 There are three full-length inside compartments, along with a large zippered outside compartment with a variety of smaller pockets for pencils, pens, business cards, calculator, cellular phone, and battery pack. 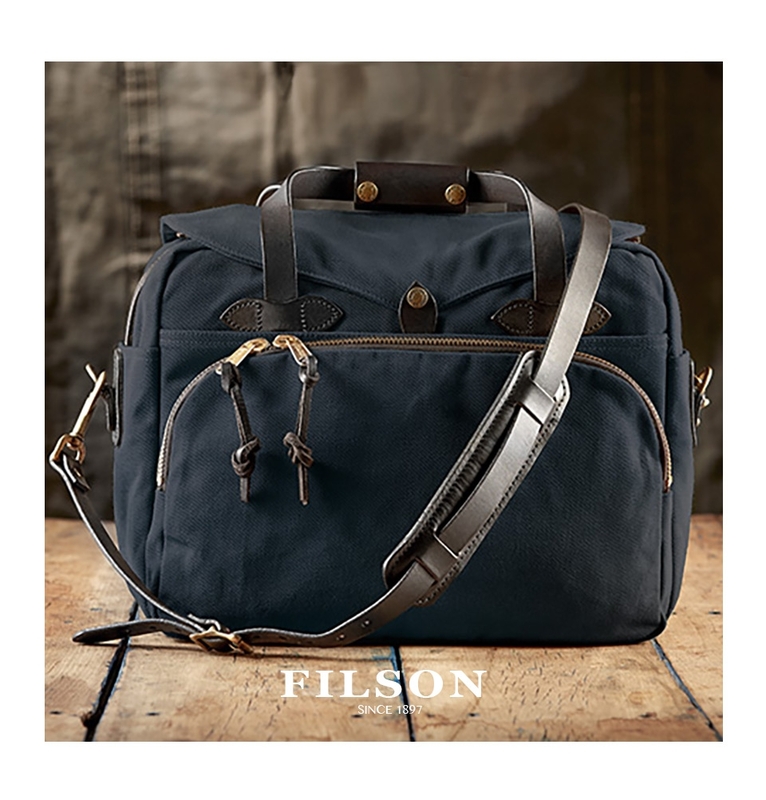 The Filson Padded Computer Bag has a brass clip to secure your keys and four outside pockets - one on each side and each end - give you more than enough space to organize your things. 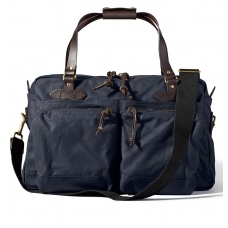 Tough bridle leather carrying handles with handgrips help you carefully carry your belongings. 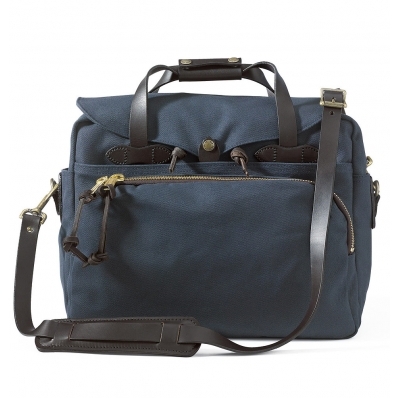 The removable and adjustable bridle leather shoulder strap with shoulder pad provide you a comfortable carry for the heavy loads. 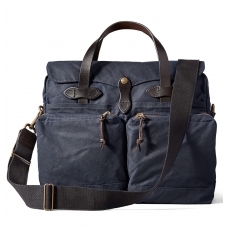 The Filson Padded Computer Bag 11070258 Navy is USA-made. 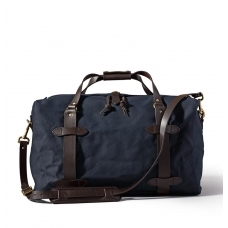 Filson: Might as well have the best!